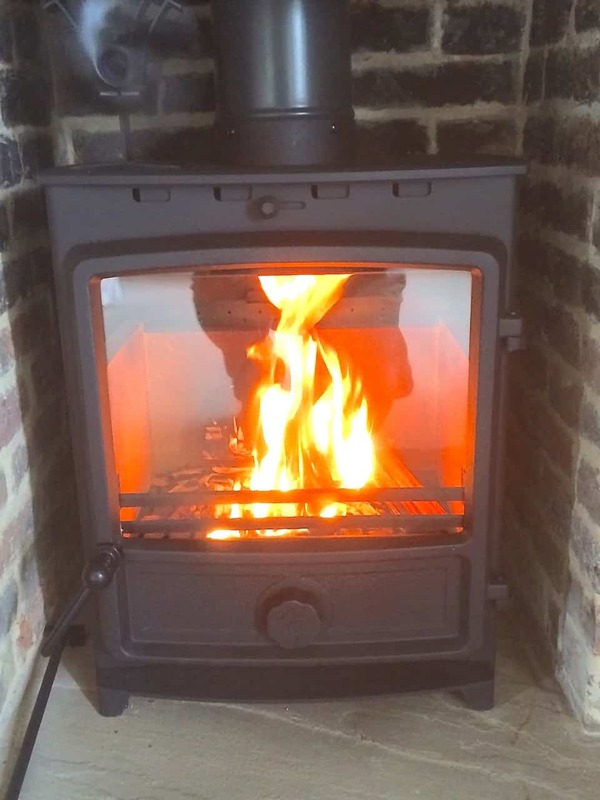 The FDC wood burning stove: These Clean burning stoves provide excellent heat output and efficiency by using advanced firebox and combustion technology. FDC stoves incorporate a draught controlled tertiary airwash system which ensures a clean burn and reduced carbon monoxide emissions; resulting in consistently cleaner glass and a greener environment. These stoves are premium build quality having thick 12mm steel bodies with cast iron doors fitted with either black or chrome handles. Comes with a 5 year warranty for your peace of mind. We have sold and installed pallet loads of FDC stoves with no warranty issues to date! Real value for money compared to any other quality stove brand. All except the 4kw are Defra approved for use in smoke free zones. We have the full FDC range on display in the Mystove showroom and one on live fire!